1. In September, start a pest control program to keep unwanted insects from hitching a ride into your house and infesting other plants. Spray plants a couple of times with ferti•lome Triple Action to make sure plants are free of pests. Spray the soil as well as the plant itself. Water monthly with ferti•lome 20-20-20 Soluble Plant Food or Nature’s Source Plant Food to maintain good color. 2. Prepare to move plants indoors before nights get as cool as 50°F. 3. Wash plants with water to get rid of remaining insects and disease spores. 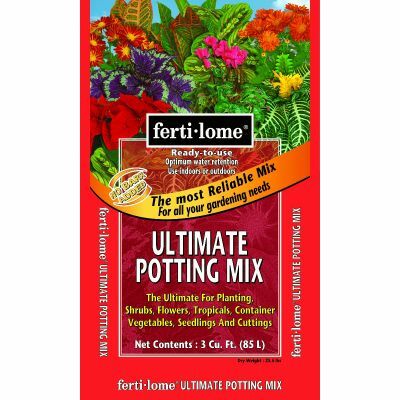 • Use ferti•lome Ultimate Potting Mix for optimum growth and drainage. • New pot should be no more than 2” wider than the old pot. 6. 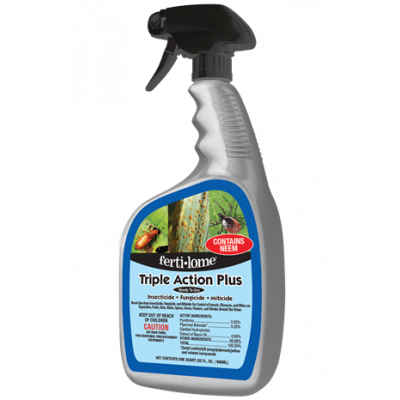 Spray again with Triple Action Insect Spray to make sure plants are free of pests. 7. After spraying, put down a soil application of Hi-Yield Systemic Insect Granules to systemically control sucking insects. 8. Prune dead or spindly stems and foliage to encourage compact, bushy growth. 9. 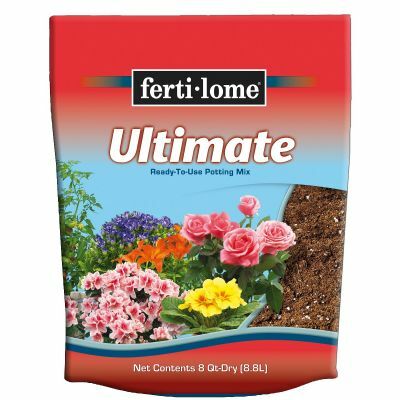 Fertilize lightly with ferti•lome 20-20-20 Soluble Plant Food or Nature’s Source Plant Food during the winter months, returning to a regular fertilizer schedule in spring, summer and early fall.